Webster Arts Fair has been the host to great artists. Each one must apply to a blind jury process with four images of work and one of their booth set up. Many new and veteran artists aren't sure what the jurors look for in a booth setup. The booth image is important! It can make the difference in getting into a show or being passed over, no matter how wonderful the art is. The booth is your gallery, your presentation to the world. It should be inviting, clean, uncluttered, and elegant. This is a great example of a booth that has wonderful work, but it's seems busy and cluttered. Notice how some work was removed and the remaining work is allowed to breathe. The juror can see the art, but the senses aren't overwhelmed by too much. 2-D and 3-D work combined in one booth, but the body of work is consistent. Don't cram everything you have onto every spot on the wall. Fewer, larger pieces make a better display. Simple, clean booths fare better in the jury process than cluttered, overpowering booths. 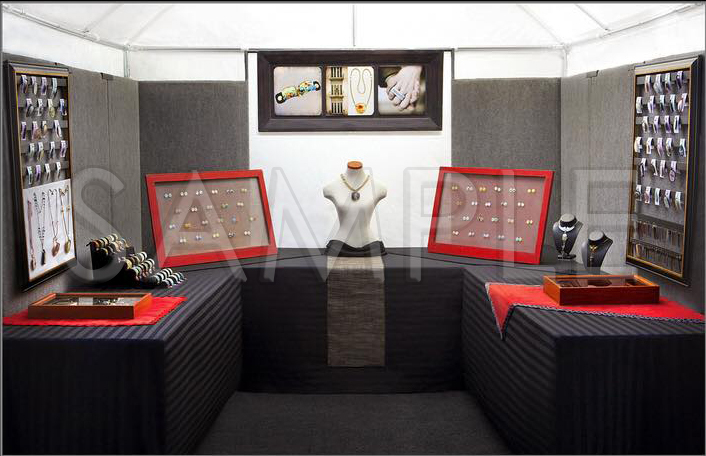 Tips for excellent booth displays and images. 1. Keep the booth bright, clean, open. 2. Have your work and booth professionally photographed, or learn how to photograph it properly. It makes a difference. 3. Show a bit of the tent, but crop so the tent legs do not show. 4. NO SIGNS or people. Remove any identifying signage. Do not show yourself or your customers in the booth. 5. It is NEVER appropriate to show awards in your booth, unless it was award at that show. Never show an award or ribbon in your jury images. 6. Give your work space to be shown. Less is more. 7. 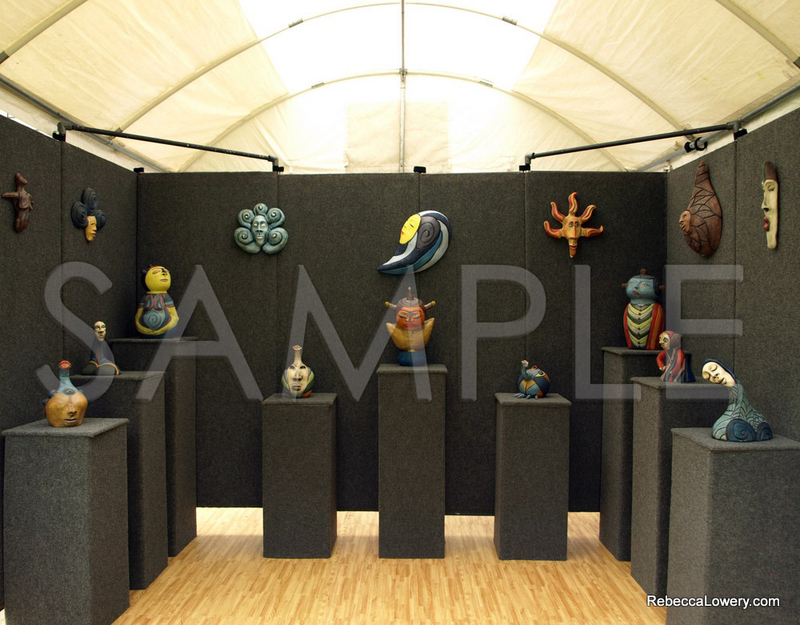 The work in your booth image should reflect the work you intend to exhibit. Most shows check. Don't risk it. 8. Keep your work inside your booth space. The show and your neighbors will thank you. 9. A rug or flooring is nice, but it's not necessary. THANK YOU to the generous and talented artists who shared their booth images with us: Bonnie Blandford, Sharon Meldman Hale, Amy Johnson, Rebecca Lowery, Glenda Sley Lundry, Kristin Perkins and Suzanne Schmid.